With Halloween just around the corner, it’s time to start thinking about party food. 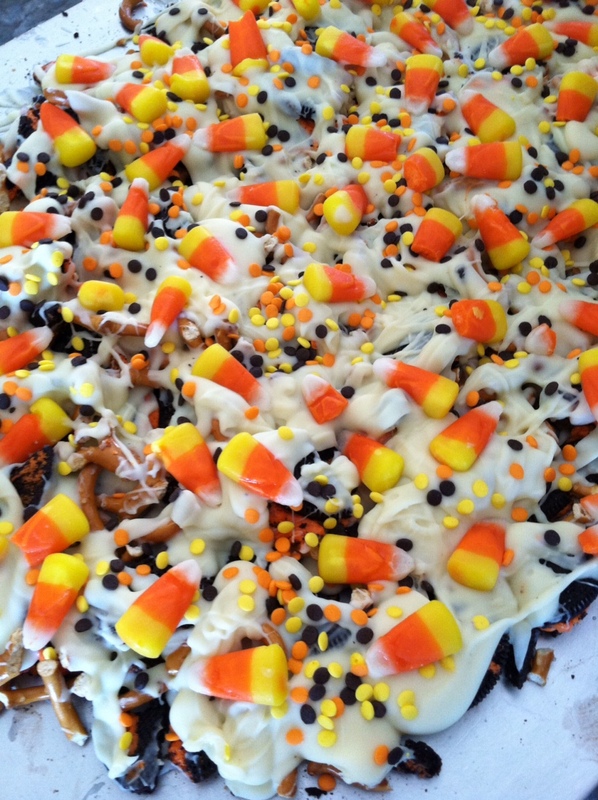 This candy corn bark is extremely easy to make, and it tastes delicious! It is the perfect combination of sweet and salty which makes it addictive! 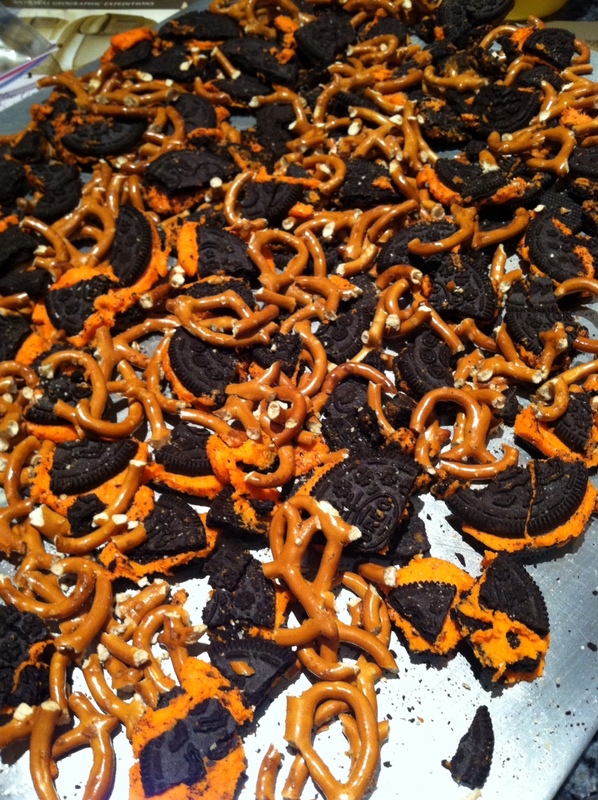 Break apart all the Oreos and pretzels. 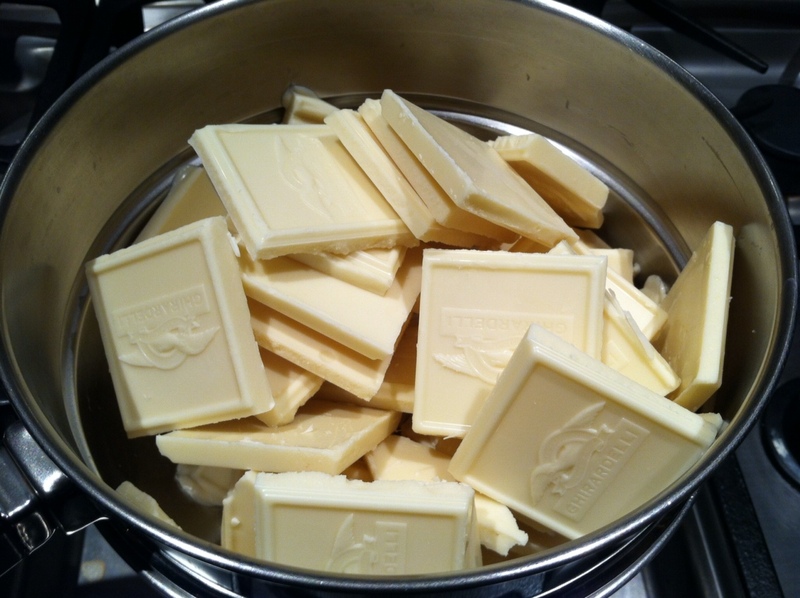 This is a really fun process and makes this recipe perfect for doing with kids! If you want to keep your hands mess-free put all the ingredients into a Ziplock bag and mash them up inside. 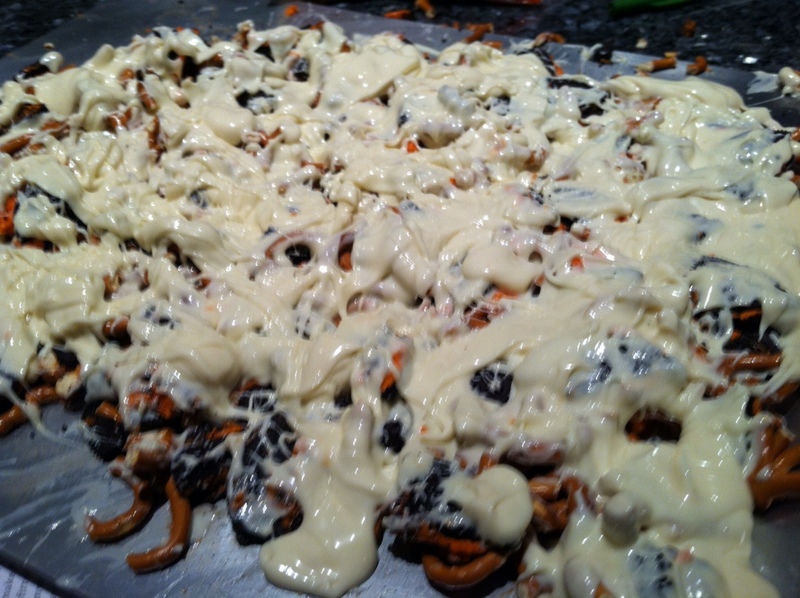 Then spread them out across a lightly greased cooking sheet. 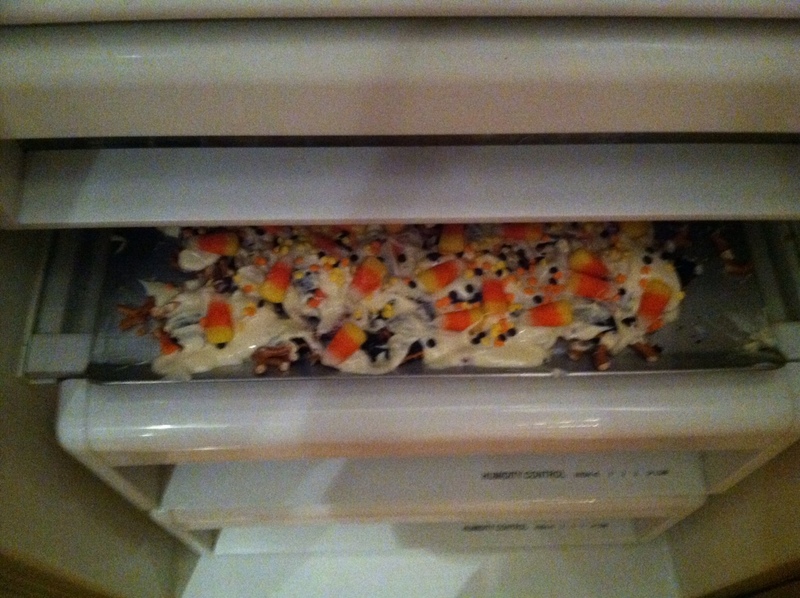 Step Four: Add the sprinkles and candy corn on top of the white chocolate. Let the sheet cool in the refrigerator overnight. Step Five: Transfer the bark onto a cutting board and chop it into pieces. Now it’s ready to be served! And there you have it, five easy steps for a yummy Halloween treat!